U12 and U14 start times will be posted after weigh in. All competitors must be prepared to present their judo documentation. To view the tournament package please click here. 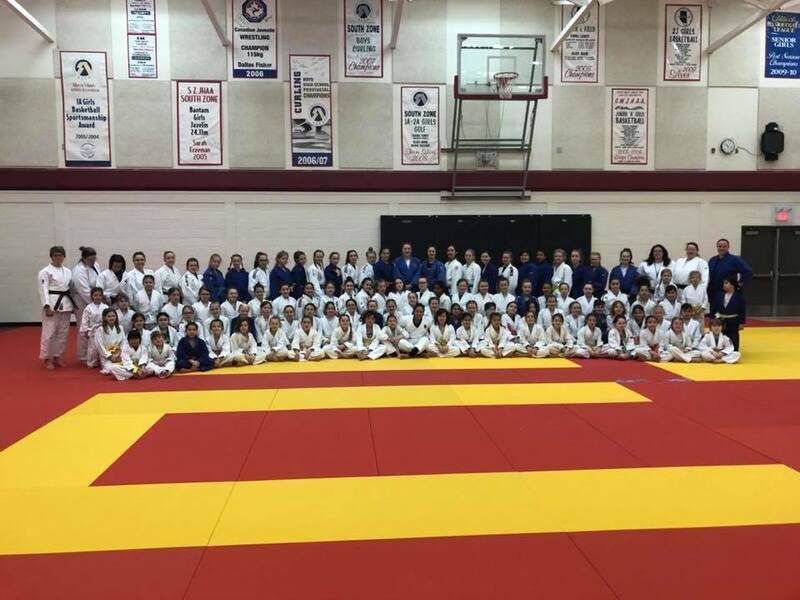 It was a fun filled weekend in Pincher Creek, AB as the Barracuda Judo Club hosted the 16th Annual Female Training camp and sleepover! A special thank you goes out to the Barricuda Judo Club for being excellent hosts, to our special guest Bianca Ockedahl, and to all of the amazing volunteers that made this special weekend happen! 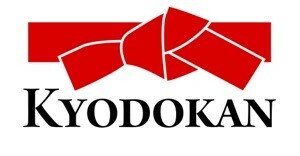 Judoka must be in the designated age and weight parameters using the year born. Changing weight divisions will result in a $10.00 charge. To view the CWG registration spreadsheet please click here. WE are moving the training session timeline at the West Edmonton Mall venue from 2pm to 3 pm Friday due to flight issues associated with Travis Stevens. As you may know, Travis is a resident of Boston and is flying in from Boston with a team, and the flight times makes a 2pm start impossible. Additionally, we have had substantial feedback from incoming coaches and athletes, outside of our original age band (u16 & below), that they would like to participate. To accommodate this, and the potential increased participation, we are adding two additional international competitors to our instructor list to assist with this instructional oriented session. Jospi Tenzera, 90 kg and Marco Kumric, 100kg will also be on the mat Friday afternoon. These active and tournament participating judoka are members of Croatia’s national team, have a strong judo pedigree, and have demonstrated considerable success in the European circuit. They will provide a Euro perspective to Judo in the training session which I’m sure the additional interested participants will enjoy. All Instructors/coaches coming are welcome and encouraged to participate in this Friday afternoon event. The Referee sessions are a two part event Friday. Our VI session conducted by Dr. Gary Berliner IBSA Pan American Referee Commissioner and committee member of the IJF IBSA Commission, is a limited participation program that begins at noon Friday and will require transport to a dojo. Those interested in attending must contact Tammy Thornton Judo Alberta Chairperson at mrst@telusplanet.net and cc Brian Fujimoto Judo Canada Referee Committee member at jbfuj@telusplanet.net so that appropriate transport can be arranged to accommodate all present registered participants and those interested in registering now. We just need to reconfirm that all referees and coaches are cognizant of the dress requirements at events of this nature. And formal shoes for both. Coaches are permitted to wear team tracksuit of Provincial, State, or National affiliation. 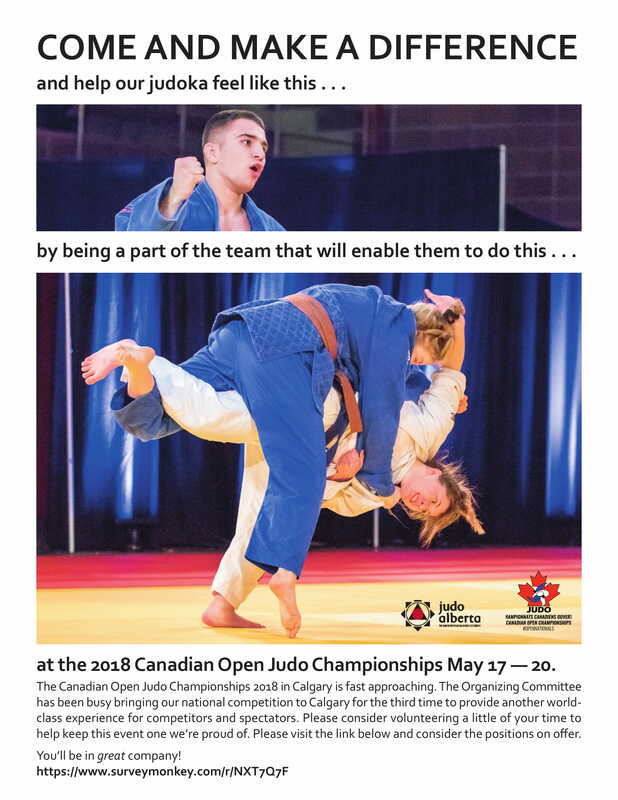 The Edmonton International Judo Championship is a National A event and an important tournament in our Canadian National Circuit Program. Accordingly, the tournament will be broadcast live over the internet by Judo Canada for all interested parties both within and outside of Canada. To access the multi camera live four mat broadcasting we direct you to https://judocanada.tv/ Please share this with you appropriate club and regional members to ensure their ability to watch their fellow competitors and family members. Edmonton is subject to DAYLIGHT SAVINGS TIME and the clocks regionally will roll ahead one hour effective at 2am Sunday morning. All competitors, coaches, and support staff must understand this and be prepared for an 8am start time Sunday morning which will feel like an hour earlier. Thank you for your attention to this long and detailed update, the organizing committee is very interested in your complete satisfaction with your Edmonton International Judo Championship experience, hence our ongoing and continual communication with you. If you have any questions please do not hesitate to contact me by email. 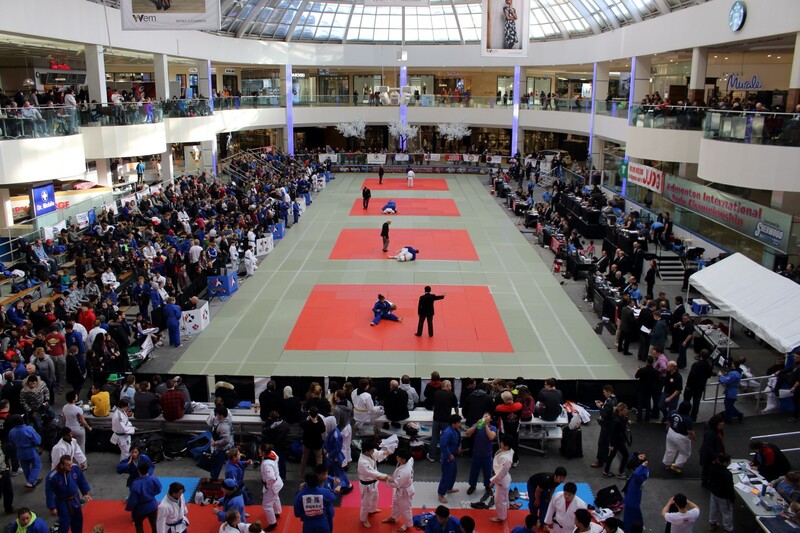 Edmonton, March 5, 2018: Edmonton will again welcome over 800 competitors – hundreds of whom are black belt fighters – to the 2018 Edmonton International Judo Championship in West Edmonton Mall’s Ice Palace next weekend. 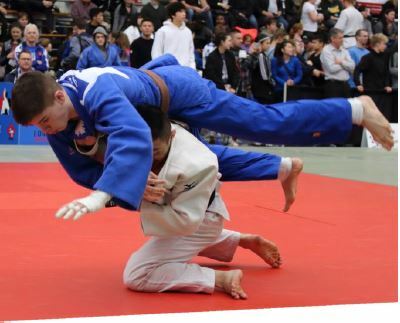 The Edmonton International Judo Championship is the largest full range judo event in Canada and features male and female athletes from under-10 years of age to adulthood. Families and visitors are guaranteed a FREE, action-packed weekend beginning Friday, March 9th starting with a 2016 Olympic silver medalist Travis Stevens leading a youth oriented training camp at 2pm. We expect to attract a huge number of Judoka, as athletes look to Travis, a icon in the sport, for the latest technical direction in competitive judo. The training camp and other related events, including of course the Saturday Sunday competition, provides athletes with a tremendous opportunity to acquire valuable, high quality, national and international competition knowledge and experience. The tournament’s huge volume of fighters and multi-day format, ensures a smooth, organized flow of events for every competitor; and the word is getting around. “As a result of the historic success of our tournament”, suggests Tournament Director Mark Hicks “we have received multiple inquires from judoka around the world.” And now have athletes registered to attend this year from the USA, France, Croatia, and Venezuela. Undoubtedly, the venue – West Edmonton Mall’s Ice Palace – unlike any other judo tournament venue in the world is one of the draws. The mall provides a unique opportunity for the display and demonstration of judo. As a result over 100,000 people per day walk around the enclosed but open air tournament site. 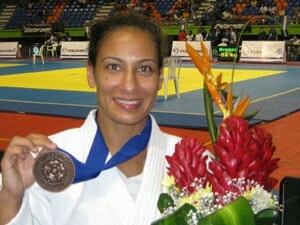 World Champion Jimmy Pedro is one of the most decorated judo players in American history. Jimmy is world renowned for his judo expertise, coaching ability, and training methods. 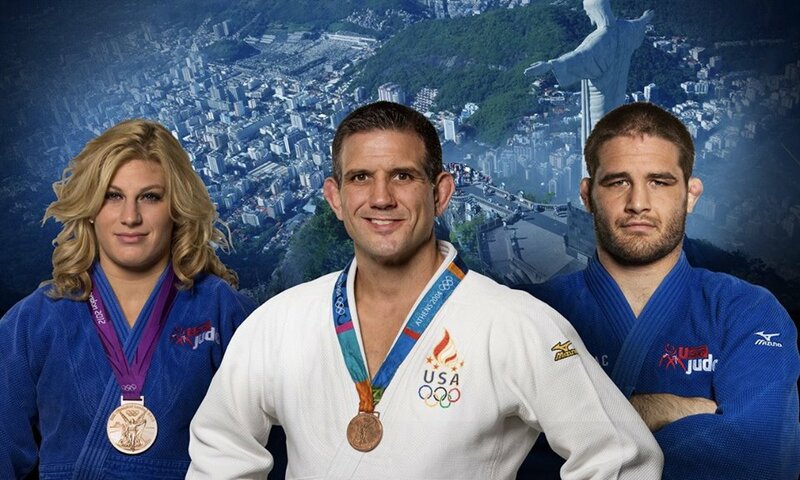 As a world renowned coach, his success at the 2012 & 2016 Olympic Games led to the victories of Kayla Harrison earning back-to-back gold medals and Travis Stevens earning a silver medal in 2016. Jimmy is a two time Olympic bronze medalist in the sport of Judo (1996 & 2004), US Olympic Judo coach (2012 & 2016) & World Judo Champion 1999.